Alsco’s portable eyewash stations are the ideal solution for workshops, labs, schools or kitchens where hazardous objects or materials could potentially cause permanent eye damage. Even with perfect safety procedures, safety goggles and personal protective equipment, you can’t guarantee that everyone will always be protected from accidents. 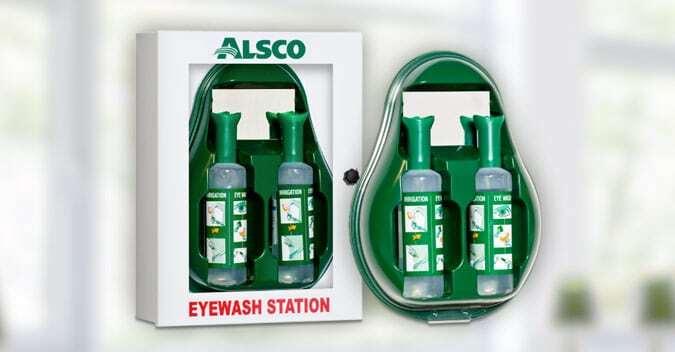 Alsco’s eyewash stations are the ultimate convenient answer to eye injuries. Light, small and portable, the Alsco Eyewash Station can be easily installed anywhere in your workplace – guaranteeing your staff have the right care at the right time. Why Choose Alsco’s Eyewash Stations? 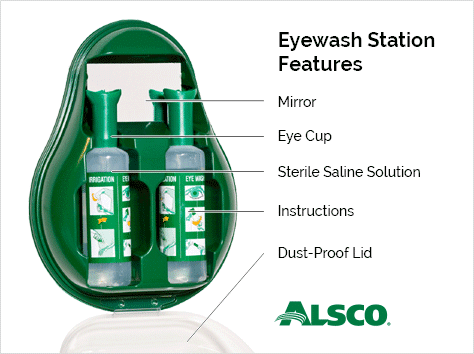 Alsco’s Eyewash Stations are low-cost and easy-to-install for your business. Stored in a durable, wall-mounted cabinet, our Eyewash Stations are the ideal solution for your workplace’s eye emergency needs. 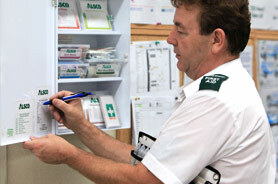 Easy to Use – Each eyewash station is stored in a highly visible cabinet, and includes simple, step-by-step graphic instructions and a small mirror for emergency situations. Our Eyewash Stations are a practical alternative to fully-plumbed flushing equipment. Where the latter cost thousands of dollars and take up large work spaces, Alsco’s Eyewash Stations are small, convenient, and highly portable. Quickly need more to move or increase the number of eyewash kits? No problem. Alsco will take care of it all. 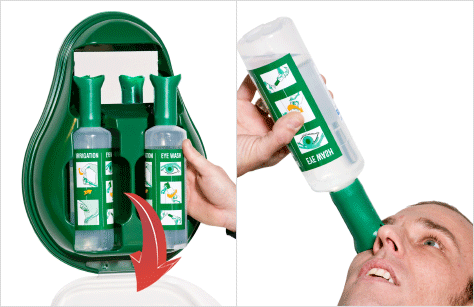 Buying multiple eyewash stations can be costly. Rather than investing a large chunk of cash for multiple defibrillators, simply pay a single annual fee with Alsco’s Managed Rental Service. Our Eyewash Station Rental Service isn’t just rental. It also includes regular check-ups, maintenance, replacements and general resupplying services. With Alsco – put your worries about safety, WH&S legal compliance, and maintenance aside. Our comprehensive rental service will take care of it all. Ready to pay one single fee – and let Alsco take care of all of your business’s defibrillator needs? Call 1300 077 391 or use our contact form above to get the best quote!